These are exciting times at SD Worx Mauritius. 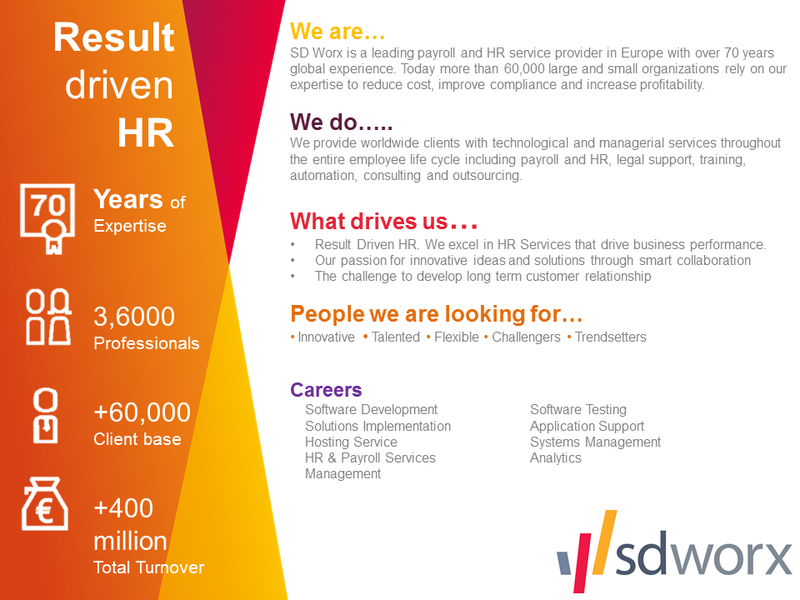 Following the acquisition of the Ceridian UK & Ireland in June 2016, SD Worx has strengthened its position as the 2nd largest payroll provider in Europe. We provide technology and services that support the entire employee life cycle, including payroll, HR and workforce management. With over 50 years’ experience and the best people in the industry, we help our customers reduce costs, improve compliance and increase profitability.